GRAND RAPIDS, Mich. (AP) — Freezing rain in western Michigan that’s moving northward is blamed for leaving about 130,000 homes and businesses without power. Consumers Energy says high winds forecast for Thursday and into Friday could bring additional outages as they hit ice-covered wires. The utility says power lines are coated with nearly a half-inch (1.3 centimeters) of ice, with much of the damage including downed trees and power lines in Grand Rapids and surrounding Kent County. 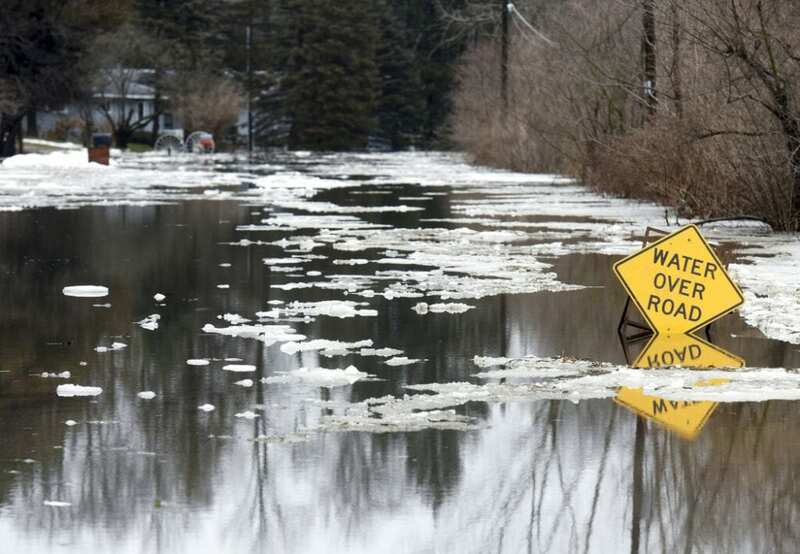 The outages come as areas along the St. Joseph River in southwestern Michigan and the Grand River in mid-Michigan are dealing with flooding . Be the first to comment on "Ice Downs Michigan Power Lines; Much Restoration Work Ahead"